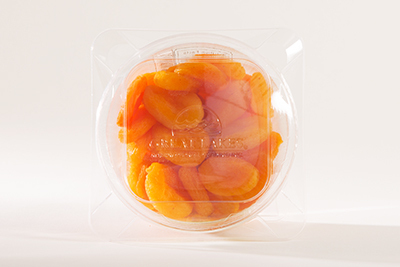 Premium Sun-Dried Apricots: 12 Ounce Tall Tubs « Great Lakes International Trading, Inc. 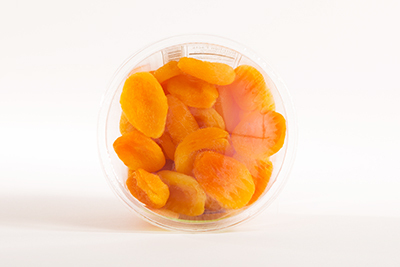 Delicious, soft, fancy, peak season flavor dried apricots, flavor-enhanced and sealed for freshness in an attractive re-sealable clear tub. Great for snacks, baking, and fruit salads! 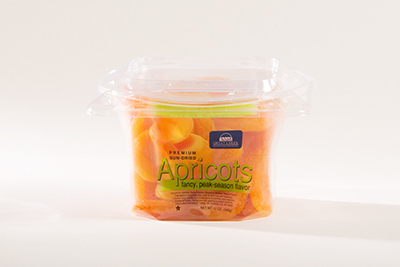 Flavor enhanced, softer fruit generates superior customer satisfaction. Expanded shelf life, no refrigeration necessary in the supermarket. 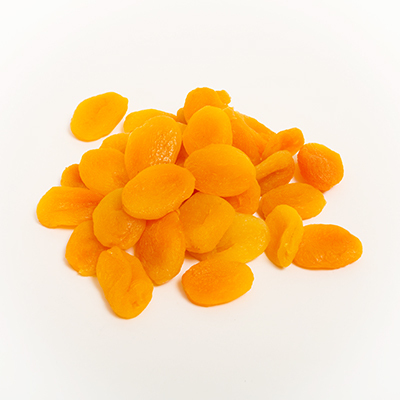 “Sealed-in” peak season flavor brings customers back for more! The tubs are labeled with complete nutritional data, UPC code, Star-K’s kosher and a recipe suggestion. 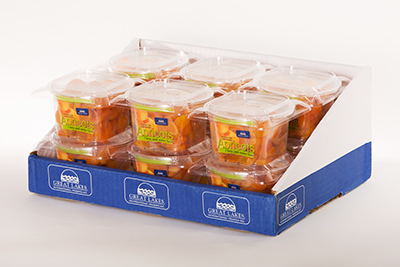 Each carton contains 12 x 12oz net weight tubs. Each carton measures 11.5” x 16.75” x 6.75”. The gross weight per carton is 11 pounds. There are 100 cases per standard 40 x 48 pallet.